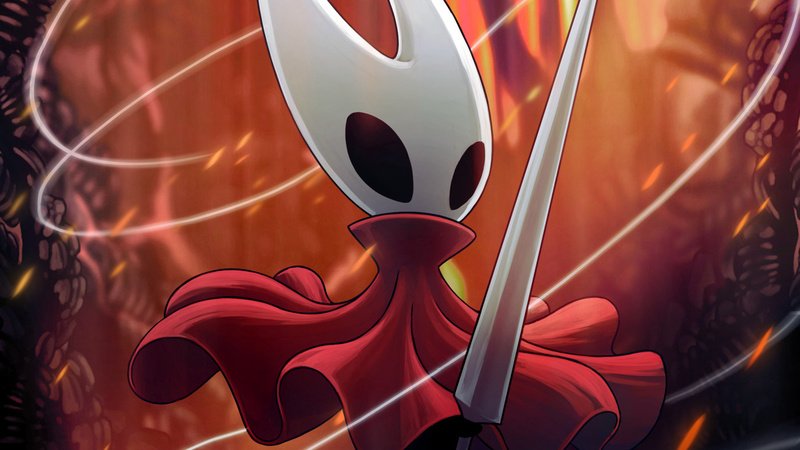 As you may already be aware, Hollow Knight developer Team Cherry is currently hard at work on a sequel called Hollow Knight: Silksong. We know that Switch will be the only console to receive the game at launch, but other details are still pretty slim at present. Changing that slightly, though, the team has provided a quick update on the game, showing off some of the characters we can expect to see in the final product (we've got images and descriptions of each for you below). That's not all, though, as the team has also shared a quick message to thank fans for their support regarding the new game announcement. "A very sincere thank you to all of you and your response to Silksong’s surprise-announce. Keeping a secret like that for 2 years is crazy tough! And the enthusiasm and passion from the community and fans is the world’s best reward. We’re right now working double-hard to make Hornet’s big adventure the giant, sprawling, surprising journey, you deserve." If you missed the news, Hollow Knight is being treated to a gorgeous Collector's Edition. If you're yet to try this one out, or if you're a huge fan of the game, it's definitely worth a look. Looking forward to this Hollow Knight sequel? Tell us below. Looks lovely. Enjoyed the first - got to a certain boss (don’t remember the name but I was maybe 15 hours in) and never got further. Had to keep walking all the way back to the boss when I died as there was no save point close. Gave up. I just picked up the first one a few weeks ago. Other than some end game precision platforming, I’ve really enjoyed the game. Great to have such a challenging Metroidvania. I’ll probably pick up the sequel. As long as there is a proper map from the beginning that you don't have to use special things to keep track of stuff I will be happy, the only criticism I had for the original is that there should have been a proper map from the very beginning like in most Metroidvanias. I am not the only person who feels this way either. Can't wait. I guess this update means the game will not be part of tomorrow's Indie Direct? I know it's not Switch exclusive but it might as well be given how associated Hollow Knight is to the system (from a console point of view anyway) so was hoping to see it included in the presentation. I adored Hollow Knight. Struggled through on my own to get the 'bad' ending and have just finished a 110% completion with a guide (112% has proved beyond me) in readiness for the sequel. @justin233 Soul Master can be tough, he gave me problems and I've read others having problems with him too. However, if you go back to him later with a powered up nail and some more charms and special moves, he's really not that difficult. Just mark his location on the map with a custom marker and go exploring elsewhere and get yourself powered up. There's always lots of other things to do, whenever you get stuck on a boss. As for save benches, for the most part there's always one nearby a boss. If you're having to walk too far then you've missed a short cut or perhaps a secret wall. Study the map for clues. The distance between the Soul Master and nearest save bench is a bit further than other bosses though,if I remember correctly the City Storerooms bench is the nearest. There is a shortcut that can be opened though which makes the journey much shorter. @justin233 if you have 900+ essence, get the Dream Gate from the Seer in the Resting Grounds. Then you can just warp back to near the boss room. I am beyond hyped for this! I am incredibly hyped for this, do we have a rough idea on the release date? I'm going to get this and I only really just started the first one. You can tell it's great pretty early on. Got to play through a few other things before I get round to Hollow Knight though. Must crack on with Battle Chef Brigade! @justin233 if it comforts you, it’s one pf the bosses that kicked my arse the most. @BranJ0 I ended up doing Crystal Peak before Soul Master. I don’t know if my dream nail is helping with monsters because every time you get a new skill/item the difficulty ratchets up lol. I have to go back because I need a double jump and don’t know where to get it. 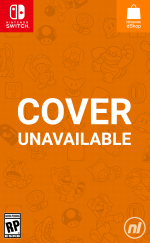 @Mamabear Fortunately Yoshi is unlikely to make it onto my Switch, just doesn't do it for me. That said I've just bought Moonlighter which I reckon is going to bag a tonne of my time! @justin233 I found a hidden door between the save bench and soul master in the elevator I believe- took off so much time! I have the same problem though- most of my time is traveling to get killed by a boss lol. The worst was my save point in Fungal Wastes and then traveling to the Dung Master in the Water area. Eventually I found a bench closer but I lost an embarrassing amount of money ( and time!) dying during my traveling to the boss 😓. @Medic_alert I wasn’t going to pick up Yoshi but the demo swayed me... Moonlighter looks like good fun! Too many games- too little time..
Too right too many games and not enough time. If I didn't have the Switch I'd hardly play anything at all! Zaza is my spirit animal. Thank you to everyone above for the tips. Perhaps I’ll give it another go sometime soon. 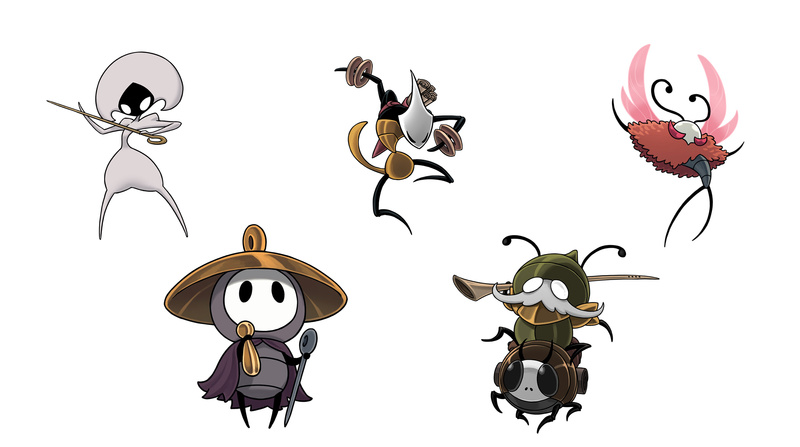 Are they sure those characters aren't already in Hollow Knight...? @BranJ0 As far as I remember, you can access Crystal Peak it via the lower entrance if you buy a lantern. That's the way I got in, and I didn't kill the Soul Master after much, much later. @Mamabear Just to give you an idea how big the game is, I've put 90 hours in so far and I've still got stuff to do. It's a monster and I've loved every minute of it. Another member yesterday said they were at roughly the same point as me after just 32 hours,so it really depends on the player. Played and beat the first one with a miserably small completion percentage. Definitely down for the sequel. Looking at some of the characters ages recalling the greener environment seem in a previous screenshots of I recall, I get the feeling this game might be slightly more colorful than the first game which is honestly something I think I might enjoy because though I loved the first game art style, what I recall of the dark and drab environment was something that got me down sometimes. It could be pretty cool if this one was too be set in a slightly more "lively" realm so to speak I feel. The flamboyant bug teased among the characters here do give me hopes at least. This time they should launch the physical edition on day one. I'll have to buy the game on Switch considering the 6 euros I spent on Xbox One version a part of the final price. Because they promised a retail version, then canceled it, then announced it again. Me and my wife have collectively put 600 hours into this game on a save file. On the 4th door of the Godmaster DLC and close to completing it. So needless to say, can’t wait for Silksong. Is this a late 2019 or a 2020 game? I hope they don't, as it would make the digital version more expensive. @Tibob They do that, but they shouldn't, as everybody knows distribution costs are not the same. @pinta_vodki @Mamabear Wow, the game is even more open than I was aware then! Yet another reason why I have to play it again! I’m certain I’ll be putting a lot of time into this one. 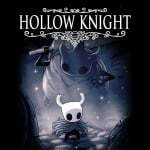 I love hollow night and 85+ hours was no joke in that game. I can only imagine it will be a similar and very worthwhile experience. I will protect Sherma at all costs! You are my friend little pilgrim spiritual buddy.